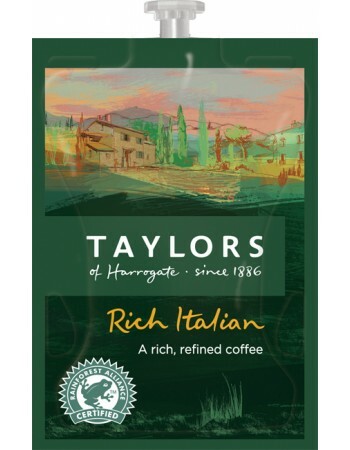 Indulge yourself with a perfect Flavia TAYLORS Rich Italian Coffee. This is a coffee with class – a sophisticated roast that takes its cues from the elegant blends of northern Italy. Fast Drinks vending are your first choice for secure Internet ordering and FAST delivery of TAYLORS rich Italian coffee refills. We are a leading Flavia supplier based in the UK. Our prices are some of the most competitive on the web and we are proud of our outstanding on-going customer service and support.